Skin is color blind when it comes to skin care. Although we must protect our skin from sun damage with spf products and sun hats when necessary, we don’t require any special products. There is no research that states we have to have any special skin care regimen just because we are African American. Yes, we have varying tones of skin and physiological characteristics however that does not change the type of products you should be cleansing or treating your skin with. Do we need special skin care products? No matter what color, skin is skin. We all have dry skin, oily skin, occasional acne, wrinkles, sun damage, oily skin, and uneven skin tones. These are issues that affect everyone and products that address these problems can be used by everyone regardless of skin color. Care for all skin color and tones involve : gentle cleansing, sun protection and products for your skin type. Please avoid ingredients such as alcohol, menthol, peppermint, eucalyptus, lemon, lime, and natural or synthetic fragrances. Exposure to irritants always will worsen any skin regardless of color. Use a gentle, water-soluble cleanser (avoid bar soaps; they are too drying, can clog pores and cause skin to look ashy and feel dry). Use products that are appropriate for your skin type (i.e. gels and serums for oily or combination skin; creams and lotions for dry skin). 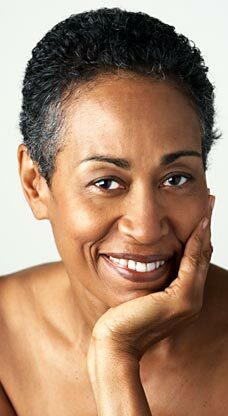 Use a sunscreen / moisturizer during the day (the most typical cause of uneven skin tone for women of color is sun damage. Basic skin-care needs are the same for everyone. Research shows that the only real difference between African-American skin and Caucasian skin is the amount and distribution of melanin (the cells which produce our skin’s pigment). More melanin means darker skin color; less means lighter skin color. Having lots of melanin gives women of color an added advantage when it comes to how their skin handles sun exposure and how soon the damage becomes visible. Essentially, the more melanin your skin has, the more natural defense we have. Mу spouse and I absolutely love your blog and fіnd the majߋrity of your post’s to be whbat precisely I’m looking for. Do you offer guest writers to wгite content in your case? I don’t even know how I ended up right here, but I believed this publish was once great. writers such as you who aren’t afraid to say how they believe. certainly will send this post to him. Fairly certain he will have a good read. this web site dailly and take fastidious facts from here all the time. Thank you! Yes there will be a part 2. More people must read this and understand this side of your story. Glad you liked it.. Thank you! The clearness in your post is simply spectacular and i can assume you’re an expert on this subject. they are talking about over the internet. You definitely realize how to bring an issue to light and make it important. genuine thoughts on this subject matter. Seriously.. Thank you very much, please let me know other subjects you are interested in as well! this topic for a while and yours is the greatest I’ve found till now.